Slice 1½ oranges into thin rounds. Use remaining orange to cut thickly to add into glasses as garnish. Place orange juice, cranberry drink, apple pieces and orange slices into a jug. Cover and refrigerate for at least 2 hours. 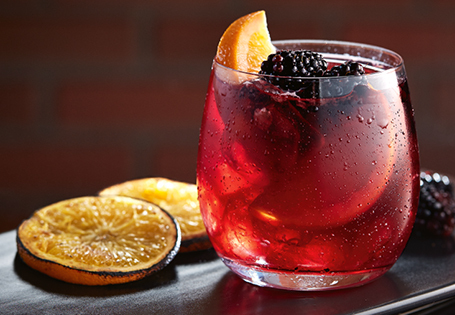 Place ice cubes and blackberries into each glass. Remove jug from fridge and add in cold lemonade. Stir gently. Pour over each glass. Enjoy!